Do you know that history of bonsai started nearly 2,500 years ago? When thinking bonsai, we tend to associate it with the Japanese world. While that view point has a reasonable basis, it is not really true. Though the term “Bonsai” originates from a Japanese word meaning “tray planting”, the passion of growing trees as a decoration way started in China since many centuries BC. Cultivating dwarf tree is known “Punsai” in Chinese. Antique paintings and manuscripts provides evidence proving that miniature trees appeared in China since Qin dynasty about 3rd century AD. 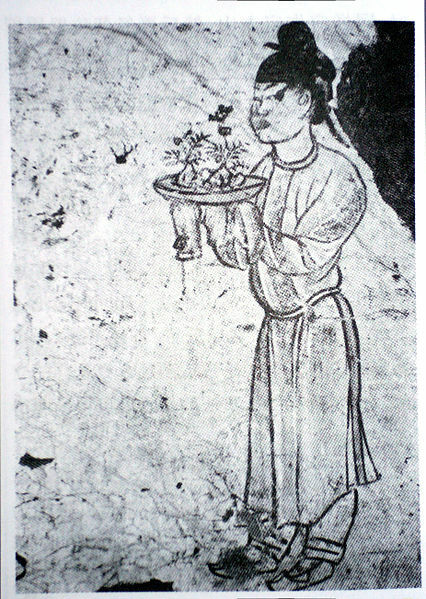 Later, ancient paintings in Chong Dynasty shows dwarf potted tree used as household decoration. These are real natural dwarf trees that were twisted by snow wind and then collected and grown in artificial containers. Later the passion of growing miniature tree only spreaded to Japan around 1195 AD through the Zen Buddhism religion. It was the Japanese who refined the passion to the extent of highly refined art form that had not been approached in China before. It did not stop within the boundary of pagodas among Buddhists, but was rapidly introduced to aristocracy - a symbol of prestige and honor. In the 17th and 18th century, the Japanese arts reached their peak and were regarded very highly. Bonsai again evolved to a much higher understanding and refinement of nature. Till the 20th century, bonsai found its way to the US, Australia, and European. The movement was marked with remarkable exhibition. A major bonsai exhibition was held in London in 1909. In the US, the Japanese art was become popular after the World War II, when soldiers returning from Japan with bonsai sparking American interest. Nowadays, bonsai become a popular art and passion around the globe. We can find bonsai enthusiasts almost in any countries, from America to Africa, Australia; from Western to Eastern. We can buy bonsai trees in department stores, garden centers, nurseries, and many other places. It’s so interesting to learn about history of bonsai as we’re bonsai lovers. It’s more fascinating to know that the art has a history of nearly 2,500 years. That’s a long long time, isn’t it?